Ruth explained that she normally uses a darker palette on her eyes, I could understand why as that would really bring out her gorgeous green eyes. Darker shades are great for evenings but I wanted to do something different, since we were going to a pool party/BBQ I thought it would be nice to do a bronzed look and then add some colour to her usual eye palette. I used a Sleek Palette and blended copper with turquoise on her eyelid and then took a brown eye-shadow up to her brow bone. When you have smaller eye-lids you can wear your eye-shadow really high, it gives you the illusion of bigger eyes. I have bigger eye-lids so if I did that I would end up looking like a drag queen. I only ever wear high eye-shadow for costume parties or if I need an OTT look. Its really important to recognize your features and work to enhance them, I’ve seen people try to copy a beautiful make-up look and it just looks terrible because they didn’t consider how to adapt things to suit there features. I highlighted under Ruth’s brow and used an eyebrow pencil to add more definition, then I finished with a metallic turquoise liner under the eyes and two coats of Benefit Bad Gal mascara. 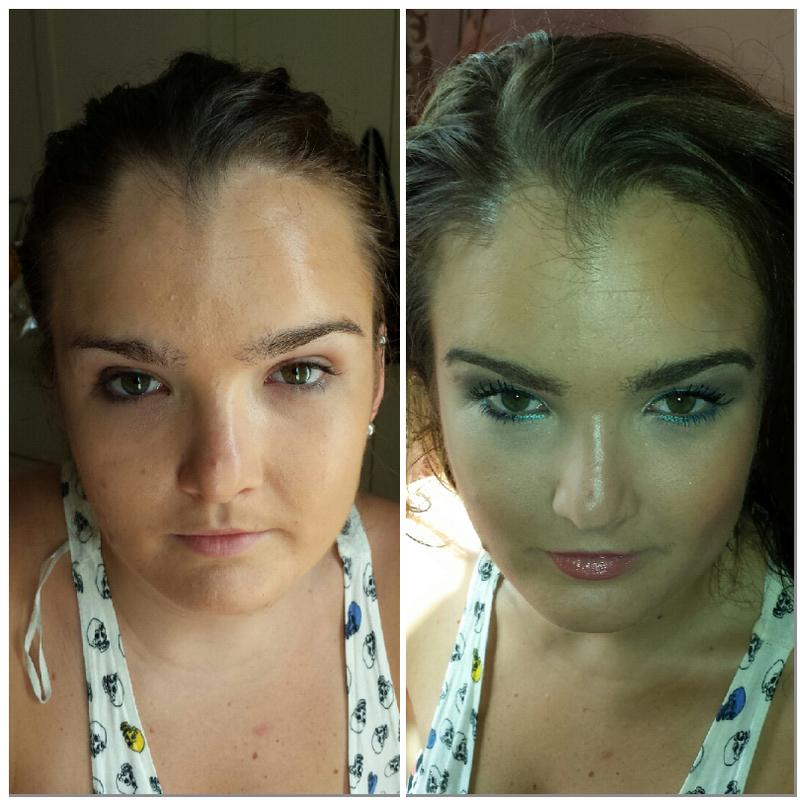 I added a MAC bronzer and a little Inglot coral blush and highlighted on her cheek-bones and nose. I finished with a Lancome coral lip-gloss, I thought it was perfect for the summery look I was going for and it really suited her.